A timer can be a very helpful tool for managing your presentation time. 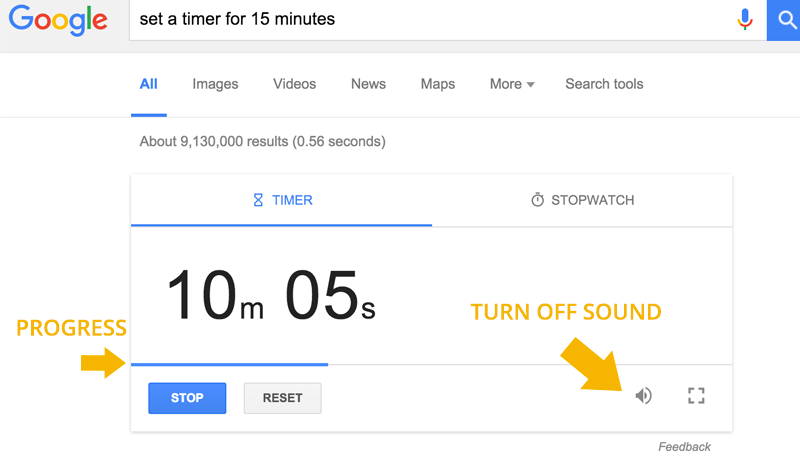 Using Google you can run your own timer online and use it during your presentations, either for rehearsing or while delivering your Google Slides presentation. 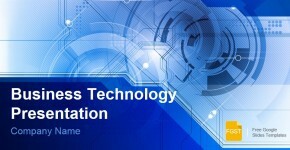 Here we will show you how to run your own timer straight from google.com. 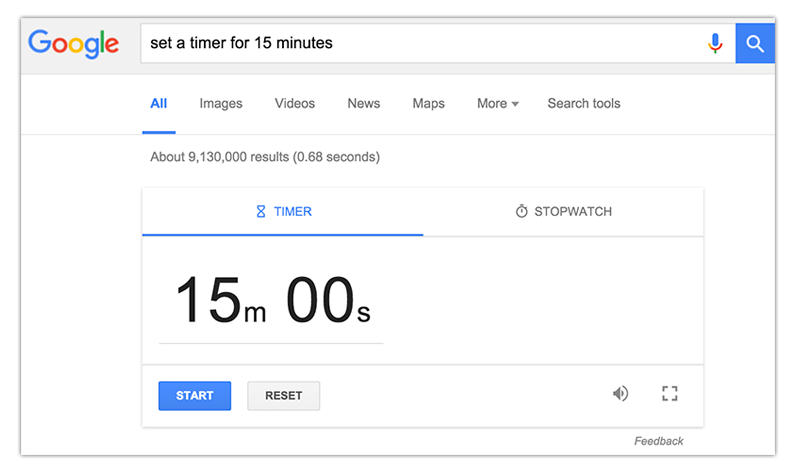 In order to set a timer online for 15 minutes or any amount of minutes, simply go to google.com and search for set a timer for 15 minutes. The search results page will display a timer and stopwatch widget ready to set your timer. Here, you can configure the amount of minutes and seconds that you want your timer to run for. Once the timer is activated, the countdown will start and you will see a thin blue bar showing the progress. The timer can be stopped or you can reset it if you need to start over. 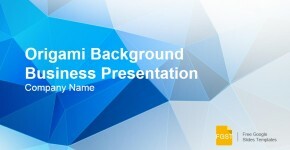 Here are links to some useful pre-configured timers for different presentation lengths. 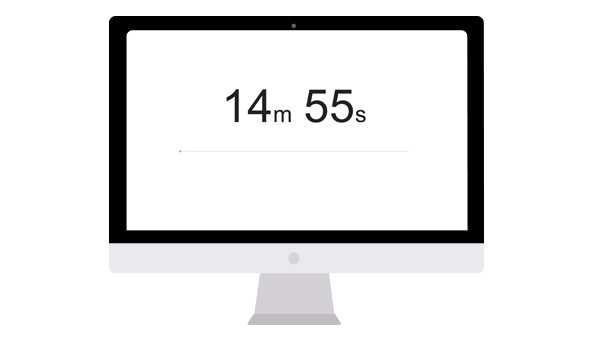 Aside of these pre-configured durations, you can create your own timer and set it to the desired duration of your presentation. Make sure to press Start to kick off the countdown. Unless you want to let the audience know that you are using a timer, remember to deactivate the beep or turn sound off. Otherwise, once the countdown finishes, there will be a beep sounding in the speaker. In some circumstances where the time needs to be adhere strictly, the online timer can be a useful tool.